We were the first to report last year that the cheapest Galaxy S10 model will be the only one that gets the Canary Yellow color. 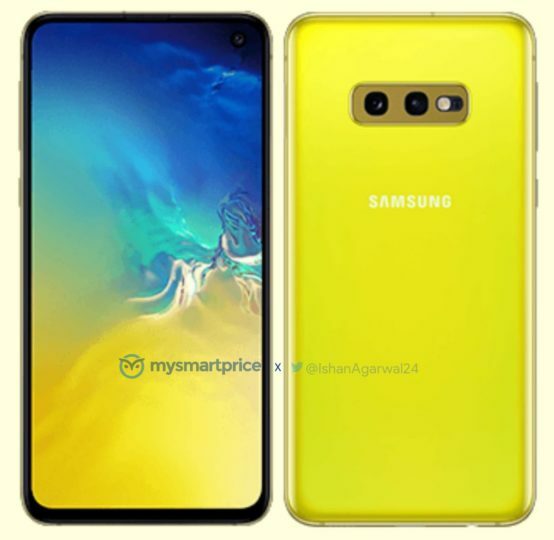 Today, purported Canary Yellow Galaxy S10e renders have appeared online, potentially giving us our first look at the exclusive color option. Samsung will not be offering this color for any other Galaxy S10 model. If the renders are accurate, it appears at first glance that this could be a polarizing option. Some might like it and others might detest it. It’s already known that the Galaxy S10e will be the cheapest Galaxy S10 model. It will have a 5.8-inch flat Infinity-O display and a dual rear camera. The device will have a side-mounted fingerprint sensor since the in-display sensors are only for the Galaxy S10 and S10+. To keep costs low, Samsung will only be offering the Galaxy S10e in just one configuration which includes 6GB RAM + 128GB storage. It will, however, have the same Exynos/Snapdragon processor as the others. The Canary Yellow seems to be a bit too yellow for my liking. The weird yellow hue in the background is suspect as well since renders have crisp white backgrounds. There could be a couple of reasons for that. Either the images are not an accurate representation of the final product or the original source images are very low resolution and have been slightly tweaked by the leaker. Personally, I’m a bit skeptical about this. If yellow is not to your liking, don’t worry, the Galaxy S10e will also be available in green, white and black colors at launch as well. The handset is going to be unveiled on February 20 in San Francisco. Samsung may start taking pre-orders for the Galaxy S10 the following day. Reports suggest that the Galaxy S10e will be priced at 779 euro or $880. 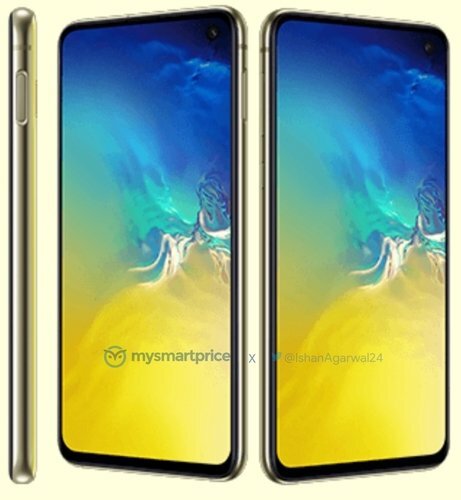 What’s your impression of the Canary Yellow Galaxy S10e based on these renders? Would you be willing to buy it if it looks like this? Pretty awful!! But I’d take it over the pill shape cutout on the screen any time any day, after all I can cover it with a case. OMG that color is ugly! Why don’t they do the coral blue like they did with the Note 7 and S7 Edge? Now that’s a color that everyone wanted lol They should of done another shade of gold color for this…. I second this! I had wanted the coral blue color for the S7 Edge but it didn’t come out for the US until months later while other countries already had it. Was forced to get another color because I needed a phone since I didn’t have a backup one. Then with the Note 8 I wanted the Blue color but didn’t come out again months later on…. Just release all the colors at launch! i have a S8+ but i’m not planning to upgrade this year because of holes in display and chin. it’s so disappointing to see Samsung ruin their 10 year anniversary phone with this stupid design i was really looking forward to it. Tbh is there a reason to upgrade from the s8? Unless your provider contract is coming up or you just like new gadgets. But being realistic, I can’t justify upgrading from my s8 which is still very fast and in mint condition. I like my purple frame and no hole dislay. S10 have non coloured frames. Frames in s10 are silver.